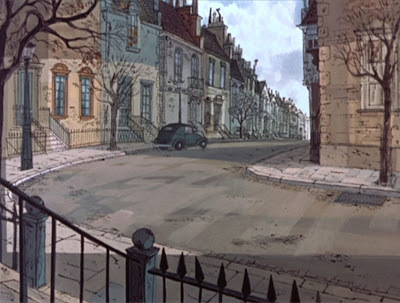 Once again we re-visit artwork from 101 DALMATIANS. First is a street scene, around the corner from the Darling brownstone. The second and third pieces are re-created pan backgrounds, interiors of the Darling living room. 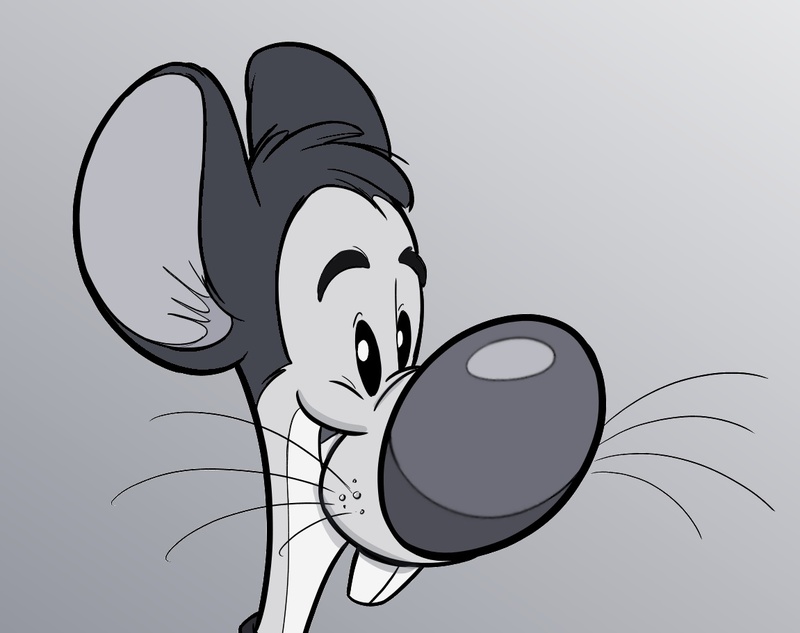 Rob - I'm just loving your four part on 101 Dalmatians. If you don't mind I'd like to feature some of your work on my blog as I'm hoping to do a brief discussion of the xerox process within the week or so. I personally love hte look of xerox animation - it's bold and modern and very unique. I love the backgrounds from Sword in the Stone that carry the same feel. Thanks for posting faithfully each day Rob. Yep, these are awesome. The xerox BG's really are "of the era"...they look like the kinds of illustrations that you might see in cookbooks (only nicer, of course!). Wonderful backgrounds ! Thank you for posting these and all the others. One point of clarification: in the Disney version the human "pets" are named Roger and Anita Radcliffe . (in the book their last name is Dearly, not Darling. The Darlings are the family in Peter Pan) . 101 Dalmatians is definitely one of those near dear memories I will always cherish. The style of this film was truly extraordinary to me, and having an opportunity to see the backgrounds and study the details and techniques used to bring together this masterpiece is really great. Thank very much for this. this is incredible and i really enjoyed this and especially your part on 101 Dalmatians. I love these backgrounds and the artwork is absolutely brilliant i cant wait to see more of your work i haven't enjoyed artwork this much for a while! Thank you for posting these and the rest of the ones you posted too they are so fun and really show off your talent! I love these! In fact, animated backgrounds have always been an inspiration of mine. I just had to note your post in my blog.. Thanks for sharing! I'm in love with this style . Cant find which bg artist did them ... was it Bill Haynes /Al Dempster / Ralph Hulett ? Hello sir,awesome ! I like all of your bgs sir.